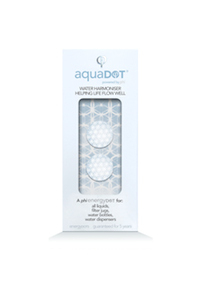 Special offer of a free aquaDOT with every bioDOT. DOTs are programmed to harmonise or retune electromagnetic radiation from devices. Each cell in our body acts like an antenna, an extremely sensitive receiver and transmitter of electromagnetic radiation; the body will 'pick up' and react to the fields it is exposed to. Retune these fields and enable the body to relax. Take a look at this short video clip. The bioTAG is a really handy way to wear your bioDOT. A simple metal disc with the bioDOT already stuck on the back. Comes in white colour. 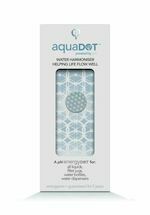 The bioTAG is currently offered together with a smartDOT (worth £24.50 if bought on its own) to give you an energyDOTS Starter Pack. Take a look at this short video clip. SmartDOTs offer relief from the harmful effects of radiation from electronic equipment: mobile & cordless phones, computers, baby monitors, games consoles, etc. Sticks easily on any of the above. Take a look at this short video clip. spaceDOT creates and maintains a positive harmonious energy, clearing architectural, emotional and geopathic imbalances in your space. Simply place a spaceDOT in your home or office to feel the positive change in your environment. Take a look at this short video clip.